Enjoy the luxury of a Zeel Massage in Alameda 7 days a week, 365 days a year at your home, work, or hotel. A massage therapist will come to your Alameda home, hotel, or office in as little as an hour, or schedule in advance. Relax and recuperate with a spa-quality massage in the comfort of your Alameda home. There are over 9,000 massage therapists in the Zeel network nationwide. Here are a few that are available for in-home massages in Alameda. Nina is a certified massage therapist based in Berkeley, California. She is a graduate of San Francisco School of Massage and McKinnon institute. Nina brings experience in both spa and clinical settings in the Bay Area. Most of Nina's sessions combine Swedish, deep tissue, and shiatsu in order to bring healing and relaxation to her clients. She is also trained in prenatal massage, acupressure, and acucraniatsu, studied Thai massage in Chiang Mai, Thailand, and has experience working worth clients with chronic illnesses and disabilities. 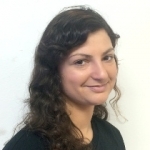 Certified massage therapist Luchiana has been practicing massage for over 5 years. She is trained in several massage modalities, including Swedish, deep tissue, prenatal massage, reflexology, and more. Luchiana also specializes in Hawaiian bodywork techniques, and has polished her skills through extensive training in Hawaiian massage schools. She blends a wide range of massage modalities and techniques to provide a well-rounded, stress-relieving session for all her clients. Marcus is a certified massage therapist and a graduate of McKinnon Body Therapy Center in Oakland, CA with a Bachelor of Science in Health Science from California State University. He is passionate about promoting health and wellness through bodywork and performs deep tissue massage, Swedish massage, shiatsu, sports therapy, CranioSacral therapy, acupressure, lymphatic drainage, myofascial release massage, and tui na. Booking a mobile massage in Alameda, CA just got easier, with Zeel. Known for being “the island city” of Alameda County, Zeel is eliminating the need to travel via bridge, ferry, BART, or Bus. Zeel’s Massage Therapists in Alameda bring the on-demand massage to you, whether you’re at home, at-work or even in a hotel. Alameda is not only a Coast Guard city and home to the Oakland Raiders, but offers a small-town feel and a high quality of life—from the waterfront, restaurants and Victorian houses, to festivals on Webster Street and Park Street. Spend the day at Robert W. Crown Memorial State Beach, the Historic Park Business District, or sit back at the Art Deco Alameda Theatre, then experience the high-quality Zeel Alameda Massage On Demand delivered right to your doorstep. Just a few taps on your smartphone, and we arrive at your door in as little as an hour, right in Alameda, CA. 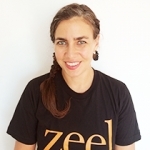 Book a mobile massage in Alameda today and let Zeel come to you. Schedule for today, or 30 days in advance. Expert Zeel Massage Therapists are always on call for Swedish massages, deep tissue massages, prenatal massages, or even sports massages. Try an Alameda couples’ massage, or even back-to-back Massages On-Demand. Zeel mobile massages are the best massages that Alameda has to offer—because they’re also the most convenient. Book a Zeel massage in Alameda today. Zeel provides Swedish massage, deep tissue massage, prenatal massage, sports massage, couples massage, and chair massage in Alameda.